Earn $1.99 in Rewards credit. Click to learn more. 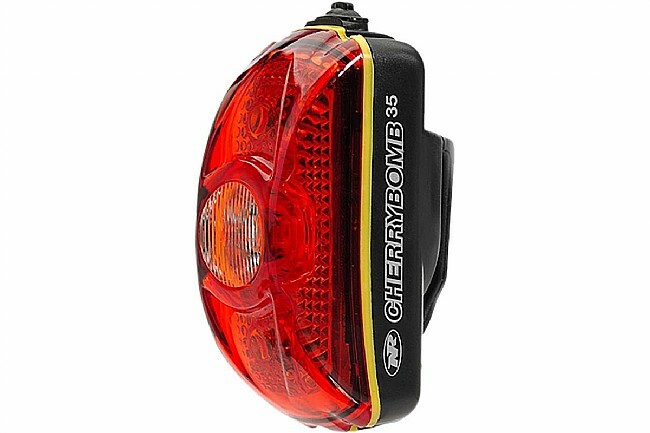 NiteRider's CherryBomb 35 Rear Light incorporates a unique multi-directional collimator specifically designed for cycling that maximizes visibility by dispersing light to the sides of the rider as well as to the rear. 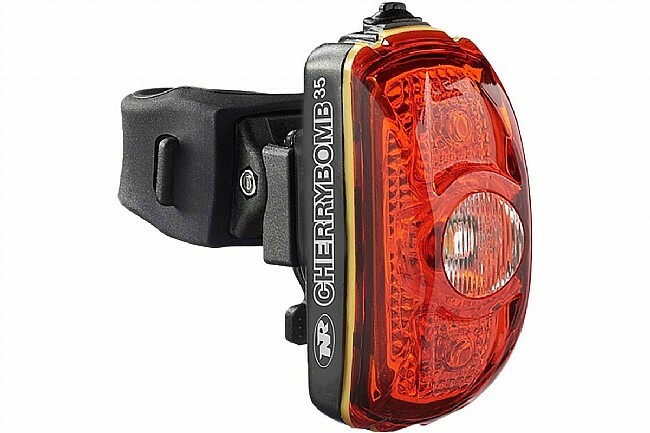 To further enhance rider safety and visibility, the CherryBomb 35 employs a custom made, built in reflector which allows the rider to be night time visible even when the taillight is turned off. 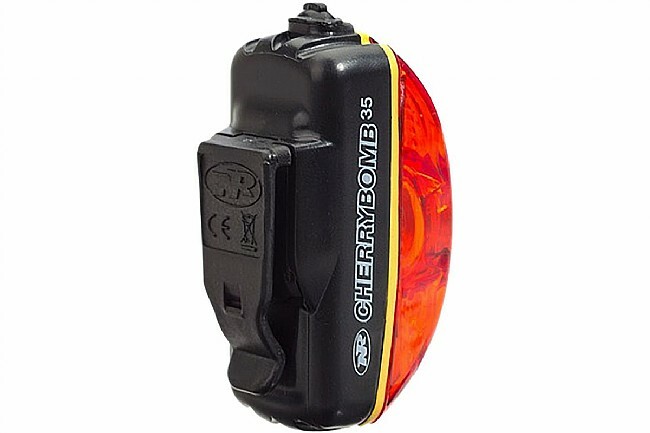 Clip and bike mounts are included for flexible mounting options. 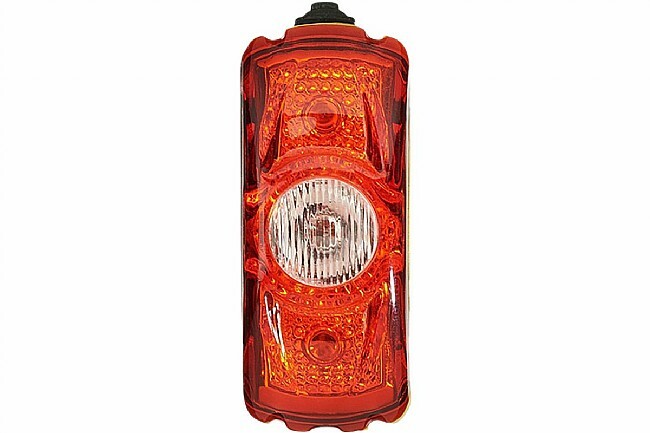 Super bright Daylight Visible Flash (DVF). Visible up to 1 mile. Wearable – clips onto straps, loops, etc. FL 1 Standard IP64, water resistant. 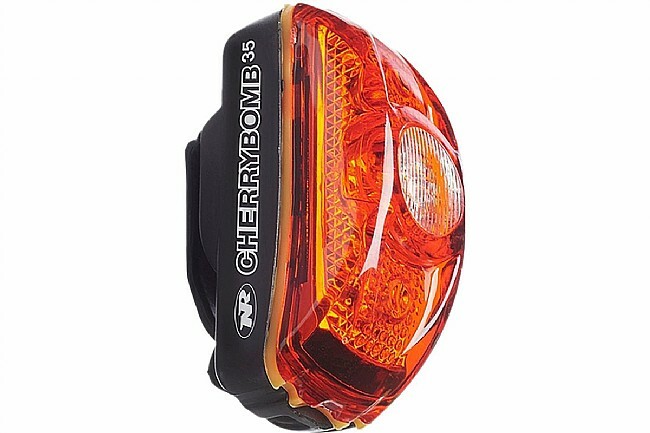 Run Time: Up to 100hrs. Battery: 2 Alkaline AAA (included).